Haute Collection can help your company arrange the perfect corporate event in a choice of stunning destinations across the French Alps. Whether you’re looking to organise a unique team building experience, an alpine activity for an incentive trip or simply host a meeting in luxurious mountain surroundings, we can help. Compete in a personalised ski race, take to the skies in a hot air balloon, mush a team of huskies or drive snowmobiles through the alpine wilderness; the choice of activities available to you are vast and can be as energetic or relaxing as you’d prefer. The French alps and especially the Chamonix valley makes a stunning backdrop to any corporate meeting, product launch, conference or team incentive trip at any time of the year. In winter there’s plenty of skiing to enjoy either on the pistes, off-piste in some of Chamonix’s iconic backcountry, or heli-skiing just across the mountains in Italy. And it’s not just skiing that can keep you entertained here in winter, mush your own team of dogs on a husky sledding adventure in the woods, discover hidden parts of Chamonix on a snowshoe day out, or soar through the skies in a tandem paragliding flight. 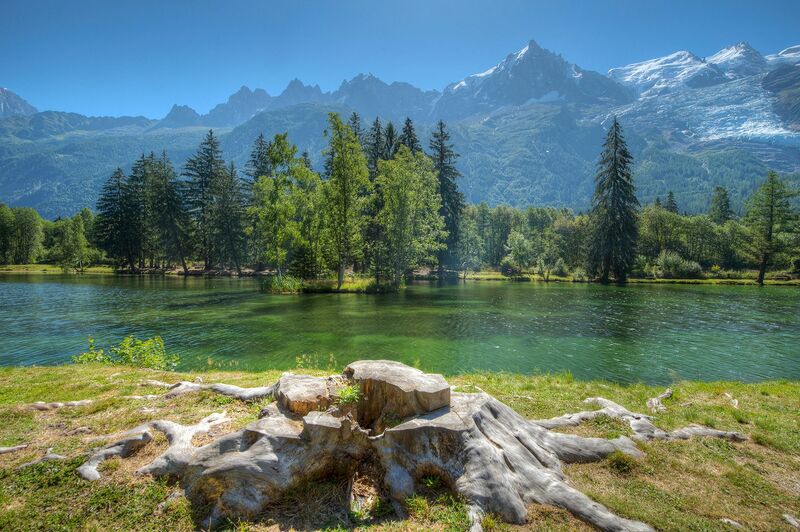 In the summer, Chamonix is transformed and a whole host of new activities become available. Take a guided walk across France’s longest glacier, play a round of golf on Chamonix’s 18 hole course with Mont Blanc as a backdrop or take part in a GPS adventure game designed to test your team with cutting edge technology. Whatever your reason for bringing your team or your business to Chamonix, we can take control of all of the organisational aspects to enable you to focus on delivering that crucial presentation or simply enjoying some of the many mountain sports that Chamonix is famous for.